There was gobs of news coming from the two major producers of Ghostbusters toys this week. Starting with Mattel, Scott "Toy Guru" Neitlich started a thread on the Matty Collector Ghostbusters forum here. Scott reassured fans that the line is performing well, but not well enough to warrant new tooling for 6-inch Real Ghostbusters. 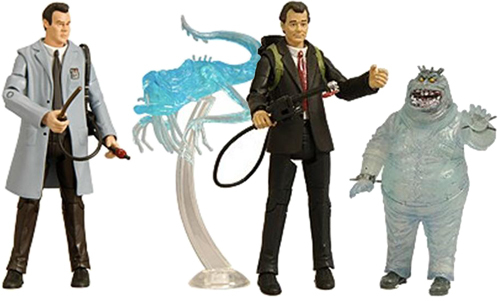 BigBadToyStore has a couple of the Matty Collector Ghostbusters in their clearance section. 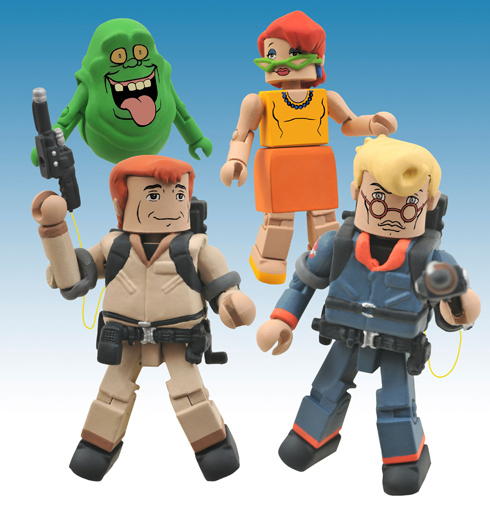 The eight-inch Retro-Action Ghostbusters have been hitting Toys R Us stores across the country en masse this week. Winston finds himself short packed at just one per case, while Peter is the heavy hitter with three figures per case. Egon and Ray are each packed two per case. If you're having trouble finding Winston or any of the Ghostbusters, Entertainment Earth currently has all figures in stock. On the Diamond Select Toys front, we caught our fist glimpse of the Real Ghostbusters Minimates. DST also started a Facebook page where they have treated fans to a look at the early stages of the Egyptian Ghost (Blacky) that will be released in the first series of Toys R Us exclusive two-packs.